When Ethan and Joel Coen released their darkly comedic crime thriller, Fargo, in 1996, the movie had an impact on the film community that wasn’t unlike the effect of Quentin Tarantino’s breakthrough, Pulp Fiction two years earlier. Fargo may not have been the duo’s first outing, but it was the film that made them a household name, and its legacy continues in the hearts of filmmakers today. To celebrate the Oscar winner’s 20-year anniversary, we present three films that Fargo left its stamp on (in ways both subtle and overt). The Ice Harvest is a comedic film noir directed by Harold Ramis, of Groundhog Day and Caddyshack fame. It stars John Cusack, Billy Bob Thornton and Connie Nielson as conniving, two-timing mobsters in Wichita, Kansas who have just stolen a great deal of money. 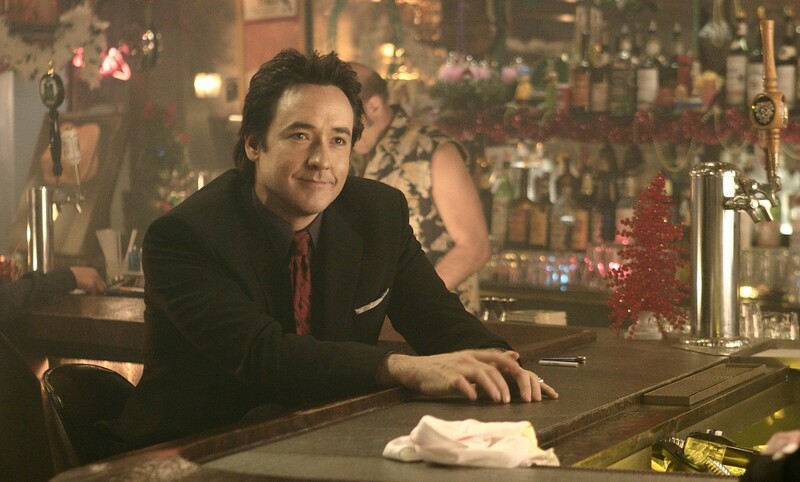 The plot follows Charlie (John Cusack) – the Wichita mob’s official lawyer – as he tries to keep his cool on Christmas Eve before skipping town with his share of the dough the next day. I’ve always mentally paired this film with Fargo due to their cold locations, detestable characters and icy black humor. However, having recently watched Ramis’s film for the first time in quite a few years, I’m sorry to say that the comparison doesn’t quite hold up. There’s a clear inspiration in the film’s ending scene, but I’m afraid this is where the clear-cut comparisons end. I’ve seen very few films that are as dreary, dark and depressing as The Ice Harvest. Children are sworn at, strippers are assaulted, and wives are murdered by their husbands — all on Christmas Eve. And while these actions could have made for inspired and well-integrated events that brought weight to the film, instead they are present seemingly as filler material. For a third of the runtime, we follow an underdeveloped character aimlessly wandering from one dismal set-piece to the next, establishing nothing save for a malevolent, vindictive atmosphere that is soon abandoned when the plot kicks back into gear around the 45-minute mark. There’s still quite a bit to be impressed about, though. Included here is a terrific sequence that involves a man trying to talk his way out of a trunk, a very funny performance by Billy Bob Thornton as Charlie’s partner in crime, and a wonderfully dark set piece involving the two men on a pier — all of which are captured through some beautiful black and blue cinematography. However, these unfortunately fleeting highlights do not outbalance the uneven pacing, unnatural dialogue, and unwarranted pessimism and spite presented in the film. Kumiko, the Treasure Hunter tells the stranger-than-fiction story of a Japanese woman searching for the ransom money buried in the Coen brothers’ classic, Fargo. What could be an easy exercise in fan-fictionalizing the Coens’ oeuvre instead becomes something much more — a deep dive into our predilection for storytelling and mythmaking. Kumiko is addicted to escapism — to the thrills of the unknown other. Her world is all restrictions; from her work, her social standing and her mother. Fargo (and the lost stash of cash) becomes her Green Light, her saving grace, the desperate hail-mary attempt at a freedom she’s never known. The central struggle of Kumiko is not whether she will find the money, but whether she will able to navigate the tension between the Fargo of her dreams, and the Fargo of North Dakota. Kumiko could be a grab bag of Coen references — the “you betchas” and Minnesota friendliness, the endless highways sandwiched between white plateaus, the woodchipper — but instead, it forges its own path. Kumiko does not model herself after Frances McDormand’s iconic police chief, instead endeavoring to rise above the illness of fantasy, thus embodying a movie that is less about Fargo than it is about the act of loving Fargo. Marge Gunderson stays on the path of righteousness; she is the moral rock in a world blanketed in grey. In Kumiko, the Treasure Hunter, the titular character needs to find her own passage, however futile that may be. A sack of money. A frozen midwestern setting. Quirky, but internally tortured characters. These are the most basic elements of A Simple Plan, and from this listing, it would be easy to make the assumption that the film is a Fargo retread. 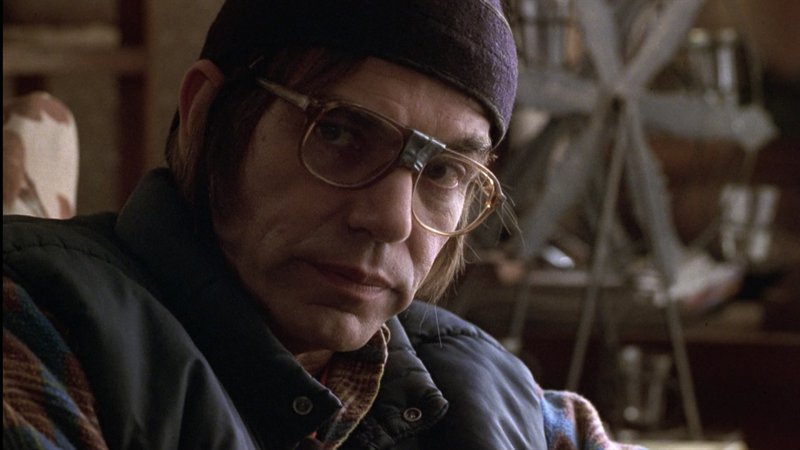 Based on the 1993 novel, the story actually preceded the Coens’ smash hit, but the release (coming just two years after Fargo) made the comparisons inevitable. The movie was a bit of a departure for director Sam Raimi (of Evil Dead fame). However, despite a handful of mild eccentricities, the film shows a director with great dramatic instincts and a mature understanding of morality play dynamics. The money in question is found by three men (Bill Paxton, Billy Bob Thornton and Brent Briscoe) in the wreck of a small plane. Sitting around the $4.4 million in the freezing Minnesota wilderness, they debate what should be done; Turn it in or keep it? Eventually the decision is made to hold onto the cash until the end of the winter. Of course, it isn’t long before suspicions rise, feelings change and circumstances shift, complicating what was originally a very simple plan. Raimi’s film savors its narrative twists more than Fargo (which is more aloof in its sensibilities), but it regards its character’s dilemmas with greater sensitivity as well (whereas Fargo is more winkingly derisive towards its main players). This isn’t so much to say that A Simple Plan is the better film — it just represents a different approach to similar subject matter. For those seeking a character-driven thriller that shares Fargo’s karmic qualities, but puts greater emphasis on the story’s tragic arc, A Simple Plan is sure to satisfy and then some. Tags: Byron Bixler, Jack Warner, Joel Kalow. Bookmark the permalink.